Today Poetry Friday is at Today's Little Ditty! 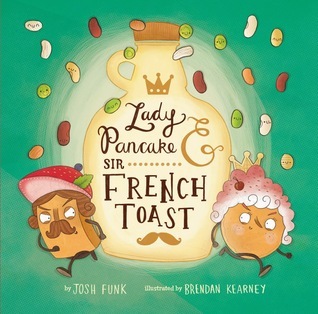 I recently reviewed Lady Pancake and Sir French Toast by Josh Funk with illustrations by Brendan Kearney. 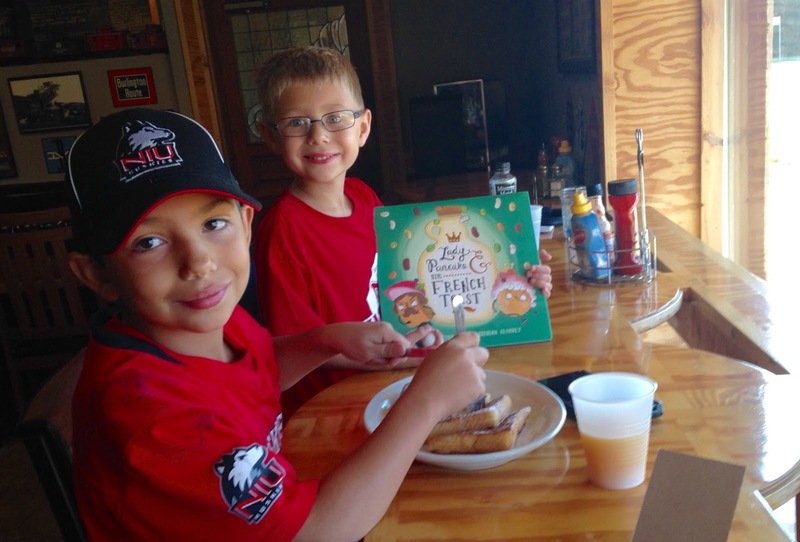 Then I dragged my kids to our favorite French Toast spot to celebrate! We go to a local diner called The Caboose where we can sit on high stools and look out the window as we wait for a train to go by. They have train history on the walls and a funky caboose mural on one that is pretty fun. The boys love the French Toast there and can never get enough! 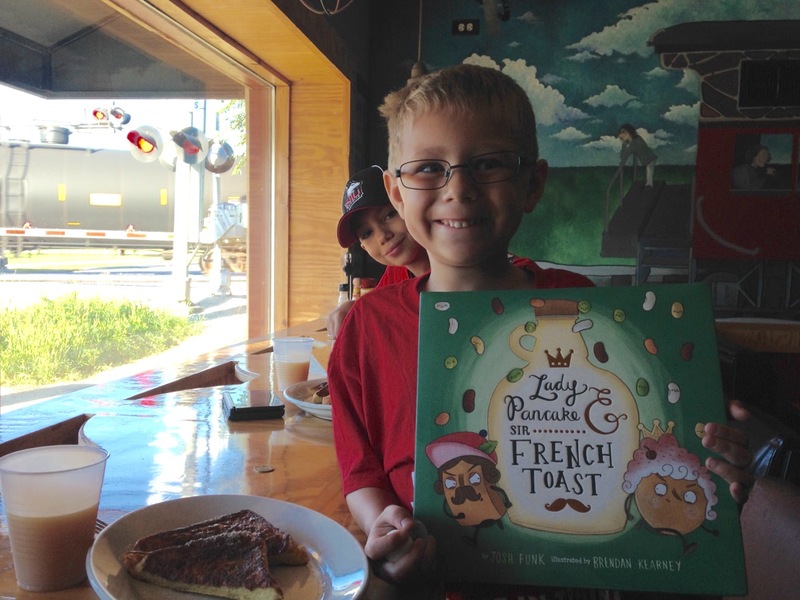 Today I'm sharing an interview with Josh Funk, author of Lady Pancake and Sir French Toast! While this adorable picture book isn't actually poetry, it is written in rhyme so it definitely reads like poetry and actually remind me of a Shel Silverstein poem or two. Enjoy! TMT: In my house, I'm the pancake and waffle fan while my sons and my husband love French toast. 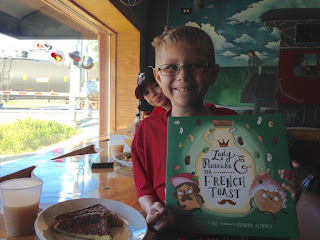 I won't make you pimn ck a side...but Peanut (my 8-year-old) would like to know what you like to put on your pancakes, waffles, or French toast. Chocolate chips, whipped cream, sprinkles maybe? JF: My favorite are those industrial waffle makers where you pour the batter in and flip them over. 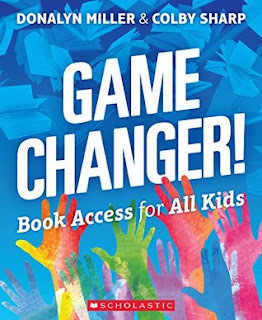 In fact, I had to teach Debbie Ridpath Ohi how to use one at the Hampton Inn during nErDcampMI. I love the way those giant waffles soak in the syrup and if you pour too much in you get the crispy burnt parts that leak out. One of the best waffles I’ve had is from The Friendly Toast with crushed pecans inside and caramelized bananas on top. I generally like chocolate chips mixed in with my pancakes. Another one of my favorite restaurants, In a Pickle will even mix in m&m’s, Reese’s, Snickers, Cookie Dough, or Oreos. For French toast, I prefer nice, thick challah bread as the base. As far as toppings, I IHOP’s boysenberry syrup is my favorite, but I don’t think I could have that all the time. It’s just for special occasions; original maple is perfect for everyday use. TMT: In August, you shared your PB 10 for 10 list (10 pictures book you just can't live without) and your theme was Team Rhyme. You have a rhyme Tumbler and you chose to use rhyme in Lady Pancake and Sir French Toast. Can you talk about your process for writing in rhyme? Just like a wand, I didn’t choose to use rhyme, rhyme chose me. (I’m not claiming to be a rhyme-wizard, btw.) When I started writing picture books, they just came out in rhyme. I’ve since learned how to write in prose; however, all but one of the manuscripts I’ve sold to date is written in rhyme (that one is JACK! [and the beanstalk], Two Lions, 2017). 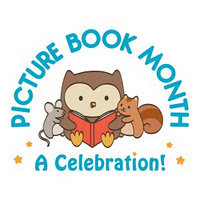 The most important thing about a rhyming picture book is not the rhyme and rhythm. It’s the story. So first you’ve got to have a good idea, characters, and plot for a picture book. For me, I think that writing in rhyme adds a certain element of charm. And it’s taken me several years to really figure out how to get it right. The rhythm/meter is what’s critical. You want to make it so the reader has the easiest time reading the story as possible. 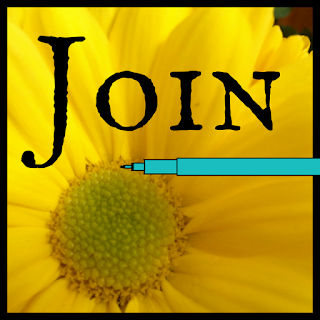 I’ve spent a lot of time thinking about it, leading SCBWI workshops about it, and even writing about it on my website. 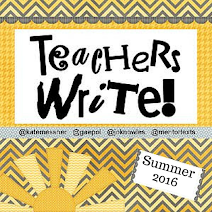 TMT: What is the best writing advice you have received and what advice would you give student writers? I honestly can’t think of one piece of advice I’ve received that trumps all others. 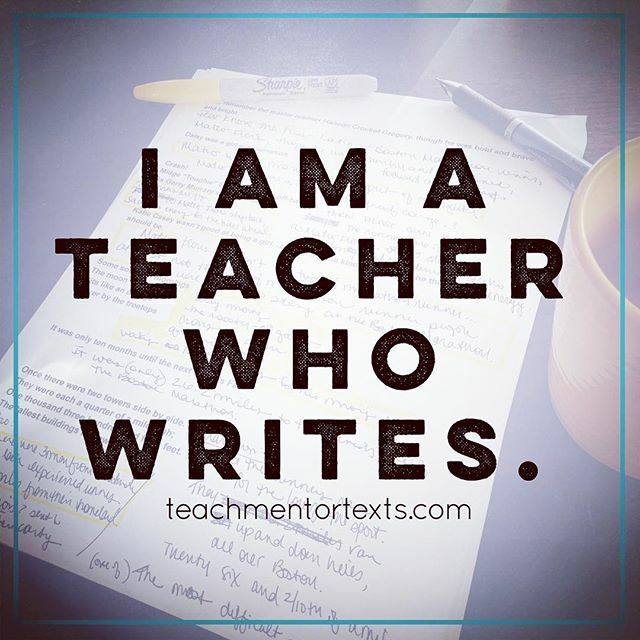 I’ve had some great mentors from Jane Sutton to Heather Kelly to Anna Staniszewski, and I’ve certainly tried to absorb as much about the craft of writing as I could over the last several years. As far as advice I can give, it’s: keep writing. Read your stories to your family and friends. And then revise to make them better. Then write more stories. What you write next will be better than what you wrote before. 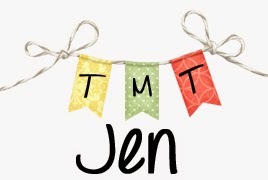 TMT: What are you reading and loving right now (or recently)? What are some ways what you have read influences your own writing? Boats for Papa by Jessixa Bagley and Snoozefest by Samantha Berger are both new favorites. I think there are two things I really look for when reading picture books. Have I seen something like it before? I don’t know any bedtime books that turn a Woodstock-style festival into a nocturnal Snoozefest, so this fits #1. And Boats for Papa literally made me tear up in the middle of a book store (see #2). If a book can do both 1 & 2, it’s bound to be a classic (at least in my eyes). For example, The Gardener, by Sarah Stewart & David Small has a historical fiction angle, is written in epistolary format, has wonderful award-winning illustrations, and gives me chills when Uncle Jim sees Lydia Grace’s garden on a wordless spread. For me, I think I’ve had an easier time with #1. Evoking an emotional response is tough and it’s certainly something I’m still working on. We’ll see what people think about Dear Dragon next year. JF: Reading is...the best way to pass the time between waking and sleeping. Writing is...where all stories are born. 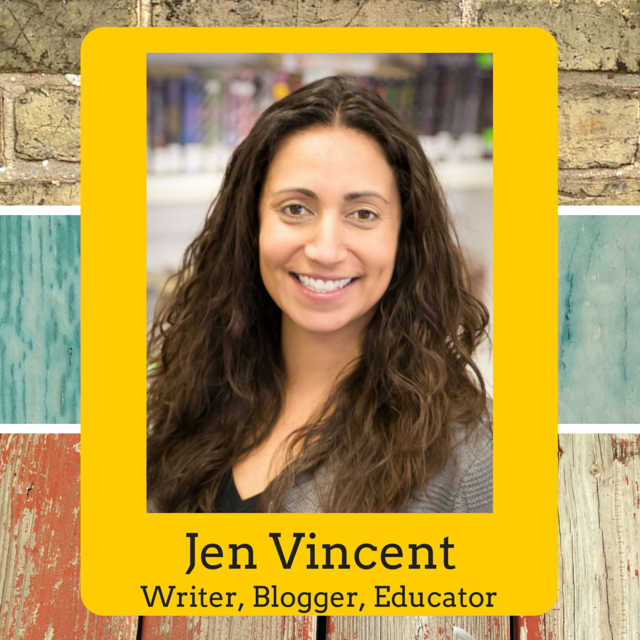 Thank you, Jen, for inviting me. Oh, and tell Peanut that I prefer to eat my sprinkles plain – out of the container with a spoon. Thank you, Josh! What a fun interview. I never thought about rhyme picking a writer and I might need to figure out how to frame your reading is... and writing is... sentences.